When you’re trying to fix a computer or are setting it up for certain functionality for a business, it can be quite annoying always getting error messages when you know what your doing. 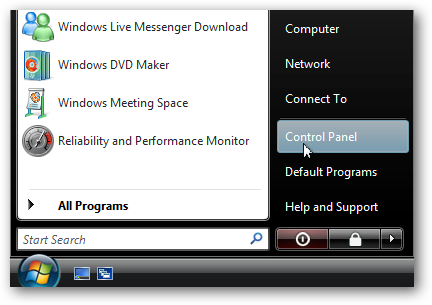 Today we take a look at disabling those messages in XP, Vista, and Windows 7. 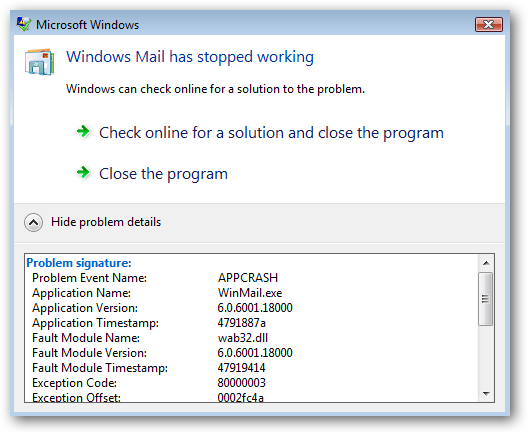 Usually the message says something like “Windows Mail has stopped working. Windows can check online for a solution to the problem. Check online for a solution and close the program.” It’s extremely annoying because you usually just want the program to close. Note: Error Reporting can be valuable if Windows isn’t working correctly and shouldn’t be disabled unless you’re a system admin or power user. This is not recommended for the average home user. 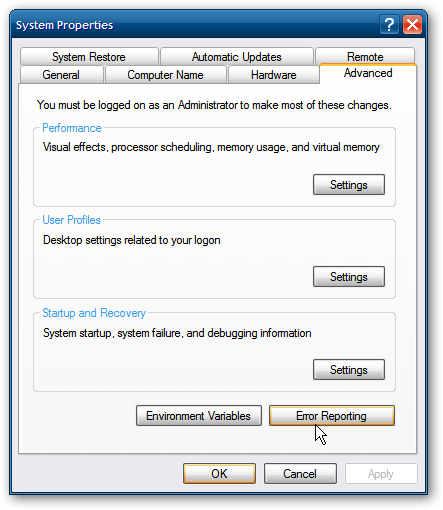 Error Reporting is enabled by default on XP, Vista, and Windows 7. If an error occurs, a detailed message regarding the error pops up and you’re prompted to send the information to Microsoft. This is so they can gather error info from millions of PC’s and helps them create patches and Service Packs. In some cases it will check the error and provide solutions to fix it. When you’re setting up a machine for specific functionality, the messages get very annoying. There are a number of reasons why an experienced user or tech would want to turn them off, so lets begin. Again, you probably should leave it enabled, but this will let you disable it. Note: This method used Local Group Policy Editor which isn’t available in Home versions of Windows 7. Click on Start and enter gpedit.msc into the search box and hit Enter. Local Group Policy Editor opens and you want to navigate to User Configuration \ Administrative Templates \ Windows Components \ Windows Error Reporting and under Setting double click on Disable Windows Error Reporting. 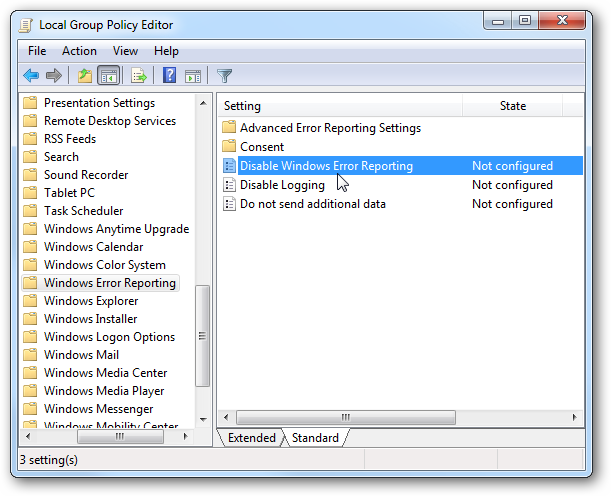 Change it from Not Configured to Enabled, then click Apply and Ok and close out of Local Group Policy Editor. 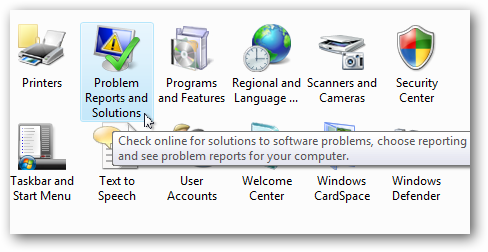 To disable Error Reporting in Vista click on Start and open Control Panel. 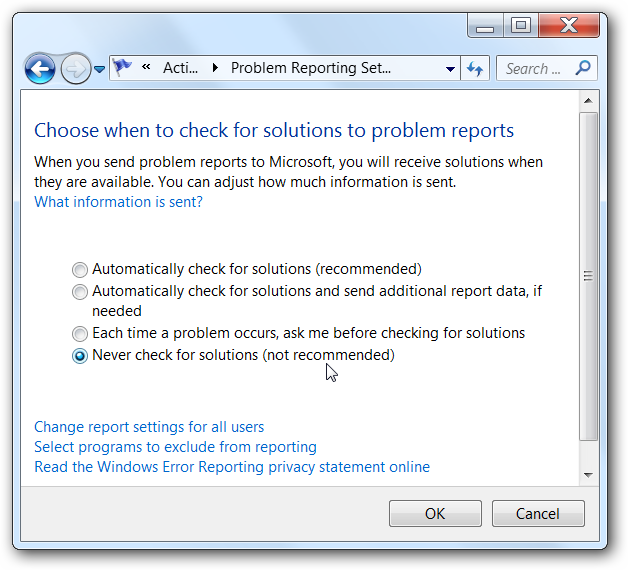 Make sure you’re in Classic View and double click on Problem Reports and Solutions. Under Tasks click on the Change Settings link. 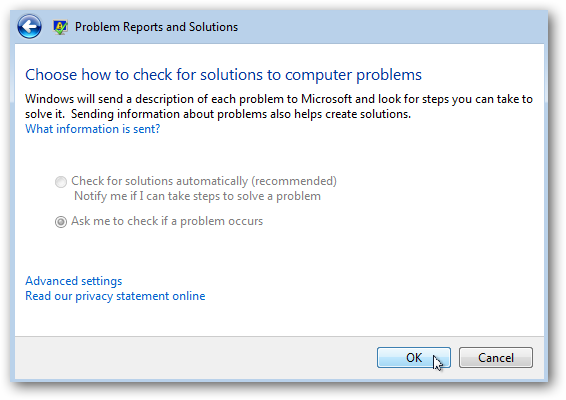 It’s worth noting here that if you choose Ask me to check if a problem occurs, error reporting is enabled but you get to choose whether or not to send the diagnostics to Microsoft. 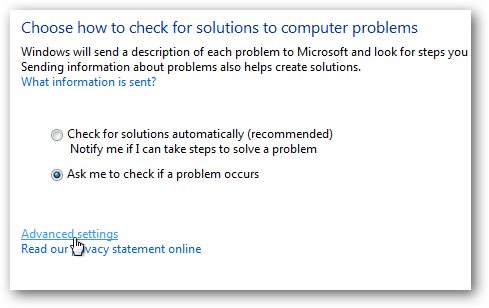 If you select Check for solutions automatically (recommended) then all data will be sent to Microsoft automatically. Since we want to disable it all together, click on the Advanced Settings link. 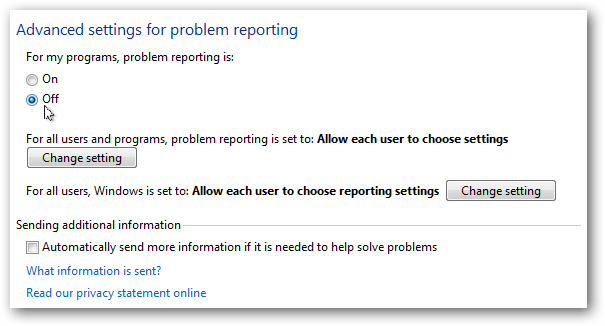 In the next screen under For my programs, problem reporting is…select Off then click Ok to close out of the Problem Reports and Solutions window. Next you’ll see that everything under Choose how to check for solutions to computer problems is grayed out. Click Ok to close out of this screen. 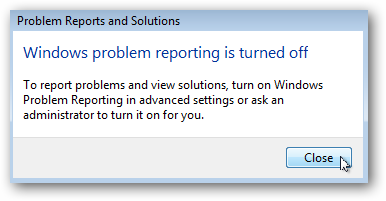 Click Close on the message telling you that Error Reporting is turned off. 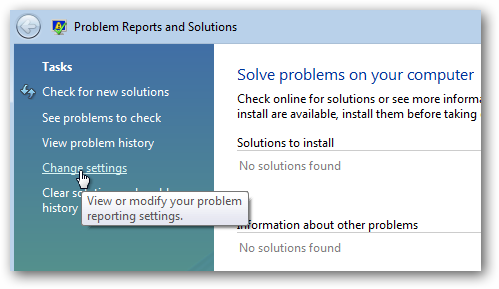 To disable error reporting in XP right click on My computer and select Properties. In the System Properties window click the Advanced tab then the Error Reporting button. When you’re setting up a computer for a set of users in a company, chances are the settings will pop up error messages that you already know about, and this takes up time to click out of them. With error reporting turned off, experienced users can go about their business without being annoyed constantly. A couple of other suggestions to eliminate other annoyances is to disable Program Compatibility Assistant and disabling the delete confirmation dialog as well. So far I haven’t noticed as many errors in Windows 7 as Vista, and they seemed to be a regular occurrence on XP. 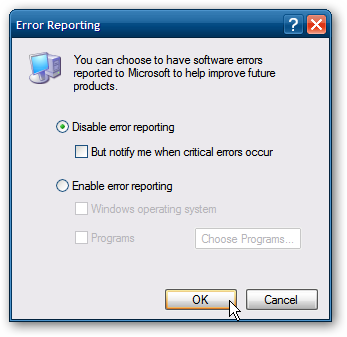 Disabling Error Reporting allows the experienced user to save time by not having to constantly clicking out of them.